About two weeks ago, on the last day of New York Fashion Week, I packed a suitcase with some room to spare and headed to JFK for a much-anticipated five-day trip to Paris with my husband and some friends. It having been two years since I last visited the city, there was, naturally, quite a bit to look forward to. Morning walks past the Eiffel Tower, lunch at Hôtel Costes, a museum or two, afternoon wine at Café de Flore, a Sunday stroll through Le Marais, dinner at Ferdi, and the main event (for this editor, at least) sprinkled in between everything: shopping—hence the space in my suitcase. Of course, we did all this and more, but this year, when it came time for what, for me, was one of the most highly anticipated parts of the trip, I was left with a much different experience, and subsequently perspective, than in years prior. In the past, a trip to Paris on the heels of a new season (in this case spring) would have meant coming home with what would make up the key items of my wardrobe for the upcoming months and, hopefully, several things I’d hold onto for years. After all, where better to shop than the fashion capital of the word? Especially when, thanks to the pricing in euros and VAT rebate (which is an exemption from sales tax for non-EU residents), you can expect to pay anywhere from 5% to 40% less for most items by a European brand when you buy it in France, depending on the brand and exchange rate. So, what gives? Well, while there was no shortage of covetable things to buy (and I’d be lying if I said I didn’t leave with a few designer trinkets), it occurred to me during my time there that for once, everything I really wanted for the season ahead wasn’t by a brand from France, Italy, or London, but rather from right here in the U.S. I’d see a pastel dress and realize I’d prefer one by Tibi, or come across some sandals and compare them to a pairby Maryam Nassir Zadeh I have my eyes on, try on a jacket and conclude it has nothing on those by Sandy Liang—with this type of internal debate happening countless times until I left with a completely changed perspective on the fashion world as it stands today. I don’t intend to discredit the value of the many European brands we all, including myself, have come to hold almost holy over the years (and still do) or even to suggest that they are in decline. Céline will always be Céline, Dior will always be Dior. I simply think that it means the industry’s landscape is changing, and a brand from anywhere can achieve the same It status as the long-standing houses from across the Atlantic. 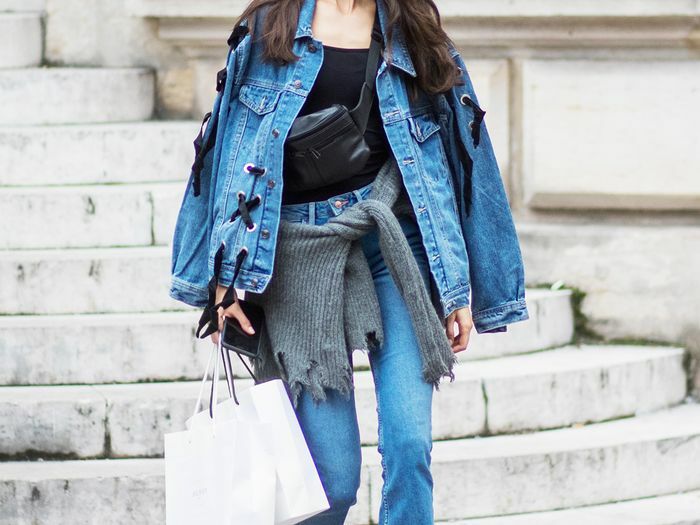 Paris may still be the world’s fashion capital, but I think when it comes to everyday style, the space has become much more egalitarian, making way for new designers from all cities, states, and countries to thrive. It’s become an environment where a statement top by an under-the-radar NYC designer can rival Chanel’s PVC boots or one of Gucci’s belt bags for item-of-the-season status. And that’s certainly nothing to be sad about. Okay, are you ready to shop now? Below are some of the pieces by my favorite U.S. brands, all of which I'd love to add to my spring wardrobe. Top and Pant 297 ($598) available in sizes XS to L.
Available in sizes 38 FR to 42 FR.